If there is any solution that has ever worked with any of my patients or clients over the last 10 years, it’s a lifestyle change. 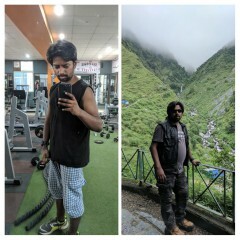 Be it cancer, weight loss, or just feeling better about one’s self, a lifestyle change has always provided the most effective and sustainable result. Restrictive diets have never worked, in fact, they lead to collateral damage like depression, frustration, yo-yo and a feeling of deprivation. If you are eating an ice-cream or chocolate, eat it with love, enjoy it, or don’t eat it at all. 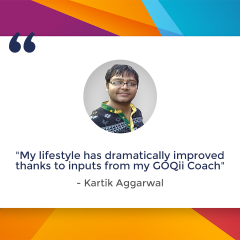 GOQii’s coaches will coach you to do just that. They will coach you to eat mindfully, they will help you set up goals, encourage great habits and break down the bad ones.People have started measuring their worth with the wrong scale. The weighing scale dictates to people for beautiful or healthy they are or should be, and that’s so wrong. The GOQii dream is to change the world. There are millions of people out there, struggling with their health and lifestyle. Most are lost and have no clue what’s right and what they should do to be healthy and fit. It doesn’t help that there is so much information and research out there that just confuses us even more. 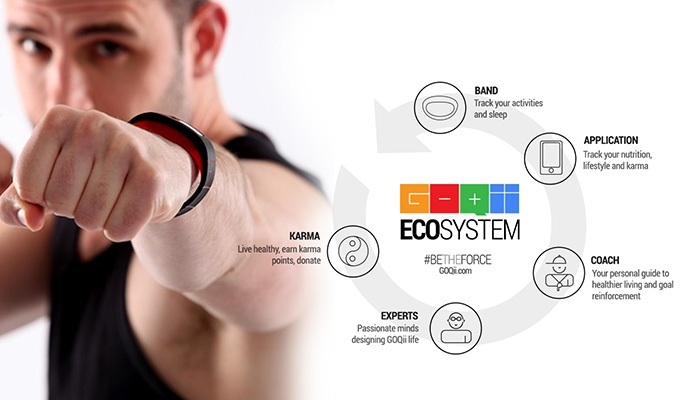 The GOQii eco-system is designed out of passion and with an intention to change people lives, make a difference, add value and evoke change in people. 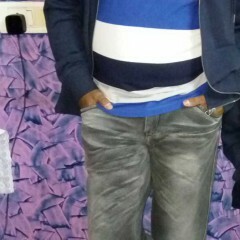 It’s based on simplicity and believes that motivation is the energy for action. We can do anything when we are motivated. GOQii ties in Karma, ‘giving back to our communities, it’s such a self-fulfilling feeling when you know you can give back to society through an action that is making you healthier. This ecosystem ties in all of this and more. Our coaches come from diverse backgrounds of nutrition, sports, fitness and other fields and go through a comprehensive training on behavior, nutrition, fitness and motivation. Our training material is designed by experts from Stanford University and Yale and delivered by professional trainers. As an individual, there are only a handful of people I can professionally help in a day. Through GOQii, we can reach out to millions. 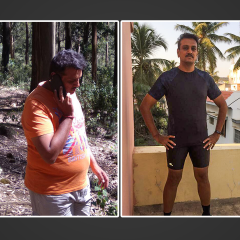 Research today has proved that even if the unhealthiest person makes as little as one lifestyle change in a month, they are on the road to rejuvenation and better health. I agree that a lifestyle change is a major makeover but this is what you need if you want results. It really starts from the self.